Deborah is an acknowledged international expert in the adoption and use of open source software and open development models. She has provided direct guidance and consultation to government in the US and abroad on issues on open source best practices and policy. She is is founding partner of the Portland-based Bryant Kuechler Group, where she leads the firm’s strategic vision for its customers’ needs. Deborah helped build Oregon State University’s Open Source Lab (OSU OSL) into a critical global resource for open source committees, and she founded the annual Government Open Source Conference (GOSCON) (2005-2011) to educate and serve as a collaboration platform for state, local and federal government agencies. Her background in government includes ten years in state government; as a civil servant in Oregon’s executive branch as Deputy State CIO; in public office as an elected official in rural costal Oregon. Prior to entering the public sector, Deborah helped build Oregon start-ups and held senior management positions in several emerging technology areas; parallel and high-speed computing and commercialized internet and web applications in the 80s, commercial networks and ISPs, advanced telecommunications and data/voice convergence in the 90s. 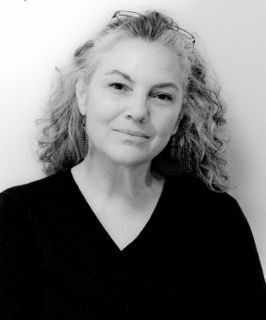 Deborah serves on numerous boards with a public trust agenda and an emphasis on open source software as enabling technology -; Board Adviser for the Open Source Elections Technology (OSET) Foundation; Co-Chair of the National Steering Committee forOpen Source for America; Board Adviser to Code for America; Board Director forDemocracyLab. She serves as Board Director for the Open Source Initiative (OSI), the international standards organization for open source software. She has authored and contributed to numerous studies related to open source in the public sector, adaptation of new collaborative models for economic development, and the use of open source software in the US energy sector for cybersecurity. Deborah received an O’Reilly Open Source Convention (OSCON) 2010 Open Source Award in recognition of her contribution to open source communities and advocating the use of open source software in government. In July of 2014, Deborah accepted a position with Red Hat Software as senior director, Open Source and Standards group in the Office of the CTO.